This month, 1,005 games were added to the app store, which equates to 112 per day. With so many games in the app store, you need to make sure yours stands out, is downloaded, and users keep laying your game. But how can you compete with so many apps? This article outlines what makes a successful mobile gaming app, so that users download your app and keep playing. Make your game addictive. Design an app that users can’t put down and can’t resist coming back to play. You need a game that holds the attention span of users, as there are loads of other apps that your customers will go to if your game is boring. Addictive apps are those that entertain users and hook them with rewards. They will want to keep returning to your game to reach the next level or keep hitting goals, and keep achieving to receive their reward. Your app needs to have concrete gameplay. Keep gameplay fun and simple. Make sure your game is easy to control and simple to use with good user experience. It has to be enjoyable and addictive, with never-ending fun. Utilise the touch screen and make your game easy to learn so that players can get stuck in straight away. Then make your game more tricky to master, so they have to keep coming back and advance their skills. A successful app has a clear genre or goal. You could opt for an arcade game with short levels and increasing difficulty, or a strategy game which takes complex decision making to affect the outcome. A social game encourages competition between friends, whilst puzzle games test problem solving skills. These are all popular genres. Do some research into what will work best for your game, and be original and create something users haven’t seen before. As with an addictive book or film, your game must have a compelling story. A story is a powerful way to hook your user and immerse them in your world. A story will make your user keep playing to finish the story and discover what happens next. Capture the imagination with setting, character and narrative arc, and make the player care about the world you have created. Clear, high-quality visuals are vital to bring your game to life. Generally, the higher your budget the higher-quality images, so don’t skimp on graphics. Design, UX and UI are vital to your game’s success, and an attractive game that looks and feels good will help you stand out. Gaming is a visual experience and quality graphics will allow users to submerge themselves in your game and immerse themselves into the world you have created. To encourage gamers to keep gaming, your game has to be challenging. It has to have obstacles that users manoeuvre to claim their reward. It has to be challenging enough to try to win, but not too challenging that users give up, and not too easy that users get bored. This can be a difficult balance to achieve, so increase difficulty as the game progresses and add different challenges to keep it fun, exciting and engaging, in which users utilise strategy, skill and practise. Make sure the game is constantly evolving with new challenges, characters, and levels to keep users coming back. Make your game simple. Simpler is better. Keep the story simple so players know their end goal. Keep UX simple and don’t have too many options or menu buttons. Make it easy to use and navigate. Ensure it has a short load time and don’t make eager gamers wait or they’ll choose another app. Make sure users understand the game so they can start playing as soon as they open it. Make a good first impression so they stick around and play. Your mobile game needs to be accessible across all devices – mobiles and tablets – and operating systems, including iOS and Android. This will allow you to be flexible and widen your audience and not exclude people or limit your game’s potential. You need to find the right developer to bring your app from concept to completion. There are a lot of options available when it comes to choosing a developer and a lot of things to take into consideration. Get the best developer that suits your needs. Research the best one for you and don’t just settle for the first company you come across. You need a developer who knows what they are doing and their vision is aligned with yours. You can’t put a game in the app store and hope that people find it. You can’t just hope for the best and wait. You need to promote your app and get it out there and get people talking about it. Market your app by contacting influencers, submitting it to review sites, optimising your app for the store, getting a website, using SEO, creating a demo video, and promoting it on social. Identify your marketing KPIs, goals, and why users would love your game. 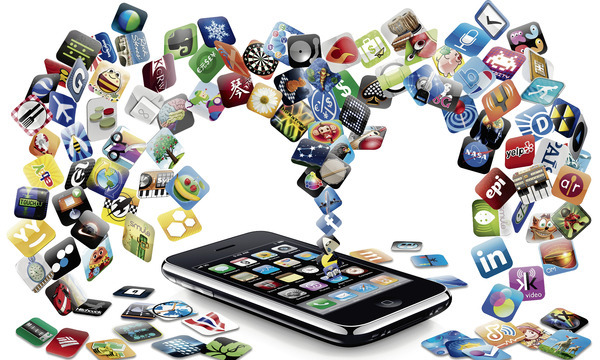 Before your begin designing your mobile game, does it have these elements for success? Make it addictive so users can’t put it down, ensure solid gameplay, decipher the genre, tell a compelling story, use eye-catching, immersive visuals, make it challenging and rewarding, keep usability simple and easy to use, make it accessible across operating systems and devices, find the right developer to make your vision reality, and market it so that it is found and enjoyed by your audience. These 10 elements will give your game a greater chance of standing out in the hyper-competitive mobile gaming environment, and help make your game a success. This post is written by The App Developers (http://www.the-app-developers.co.uk), an award-winning app agency which creates intuitive and user-centred apps and games across all platforms.